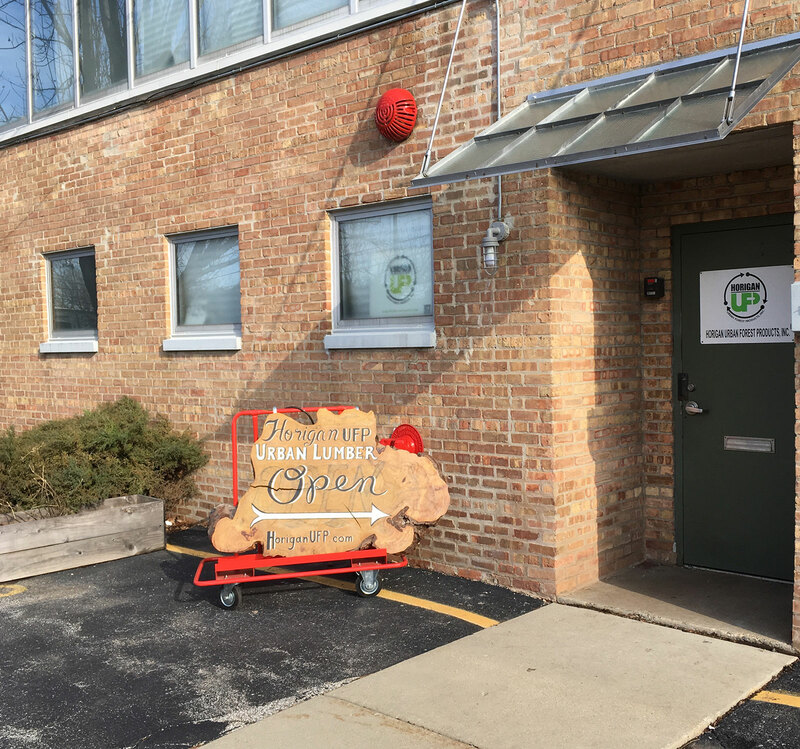 We produce high quality lumber and furniture from the Chicago Area Urban Forest. As a sustainable resource and source of old growth lumber, our products are a step towards environmentally sensitive building. Keeping trees alive in another form for their second life is the best form of reuse. We can mill and kiln dry trees from your property and get that lumber back to you at your specifications as flooring, paneling, thick mantles, wide boards, or furniture. Additionally, whole logs can be milled, book matched and kept together for unique projects. 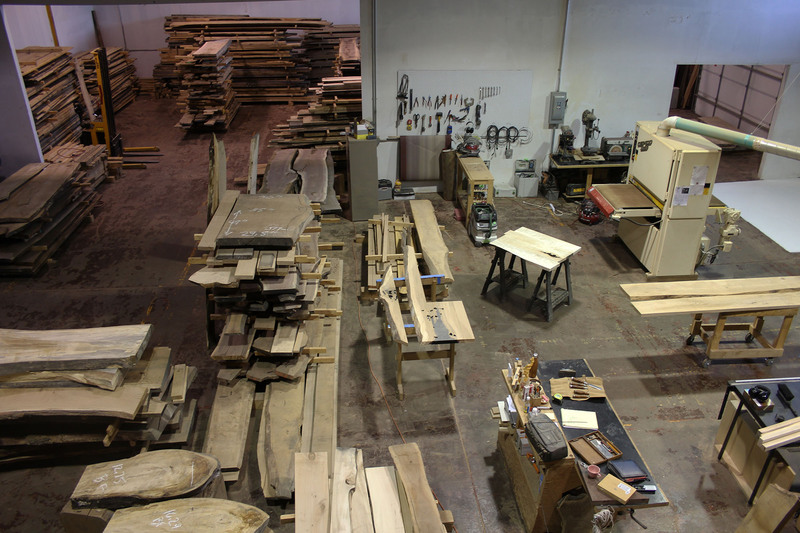 Our warehouse has of over 50,000 board feet of kiln dried, local, reclaimed, urban lumber from Ash to Black Walnut. We have many species that are not commercially available such as Hackberry, Catalpa, American Elm and many others. All the logs we process come from the Chicago Land Area and occasionally Milwaukee WI. When we know the town location, we can give you a certificate of origin that states where the tree came from. We build custom, heirloom quality furniture in-house from your milled lumber or from our warehouse inventory. Using traditional joinery techniques, we can fabricate any piece to your specifications using solid wood from the Chicago Urban Forest.